SINGAPORE, 31 OCTOBER 2018 – She turned out for the Singapore Under-19s four years ago, when she was just 15. A serious injury then put Nur Maisarah Binte Azhari out of football for a year and away from the national set-up for four years. 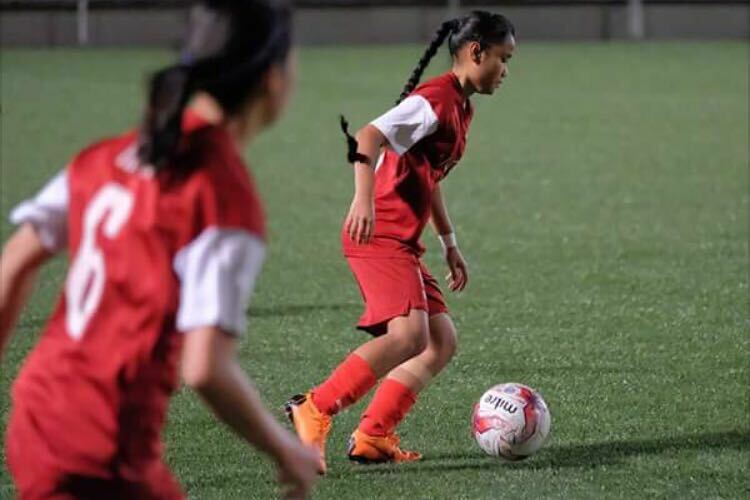 But the talented attacker never gave up on her dream to don Singapore colours and her perseverance was rewarded with a senior call-up last week for the 2020 Asian Football Confederation (AFC) Women’s Olympic Qualifying Tournament Round One. As part of six first-time call-ups, the 19-year-old will travel with the squad to Tajikistan to take on the likes of Mongolia, Philippines and Tajikistan between 4 and 13 November. Being handed a chance to win her maiden Lionesses cap is vindication of Maisarah’s efforts to regain her fitness and strength after the injury, as well as recognition for a successful season that saw her bag the Women’s Premier League (WPL) Young Player of the Year award earlier this month. Having gone through adversity at such a young age, Maisarah has proven that she has the tenacity to overcome obstacles and come out successful on the other side. Maisarah started playing football with her brothers and at aged six, she participated in a boys’ football tournament and left an impression on her teammates and opponents. “In primary school, I played in a Friendship Cup against boys. Most of them were in primary school, but there were a few older boys as well. After watching me play, they said that I was good too!” Maisarah recalled. Maisarah continued to pursue her passion, playing at primary and secondary school level, always with her family behind her. “My family is always supportive of me. When I have any matches, they will always come down to watch me – especially my dad – he will always come down and video me playing, since I was young.” she said. In 2014, Maisarah was called up to the U19 Women’s National Team. However, she was struck by a serious knee injury to her medial plica that same year. After patiently waiting for her knee to recover for a year, Maisarah was able to return to football. She joined Home United FC in 2017 and played in the Women’s National League (WNL), the second tier of women’s club football in Singapore. After Home United finished second in the 2017 WNL season, they were promoted to the WPL for the 2018 season. Despite Home finishing bottom of the four-team league without a win, playing in the WPL was beneficial for Maisarah’s development. Maisarah’s strengths lie in her versatility in an attacking role. She is an exciting playmaker who can take up any role in behind the striker. “I like to dribble the ball,” she said. “If I play left-wing, I like to cut in and then look for players to pass the ball to. I normally play on the wings but for Home United, the coach plays me as an attacking midfielder in the centre. So every time he instructs me to play through balls (to the striker). While Maisarah has done well to return from injury, she knows she has a lot of areas she can improve in as a footballer, such as her shooting skills and her stamina. For now, Maisarah is looking forward to helping Singapore do well in the Olympic Qualifiers and believes that they can give a good account of themselves in Tajikistan. “We have been training for two months already, from September until now,” she explained. Currently, we are training almost every day. We are focusing on our tactics as well as playing friendly matches. We always have to be confident and give our hundred percent and the results will show,” she said. Outside football, Maisarah is currently balancing her National Team training with working part-time as a stocker in Muji as she waits on her application for a Sports Management course in the Institute of Technical Education (ITE). 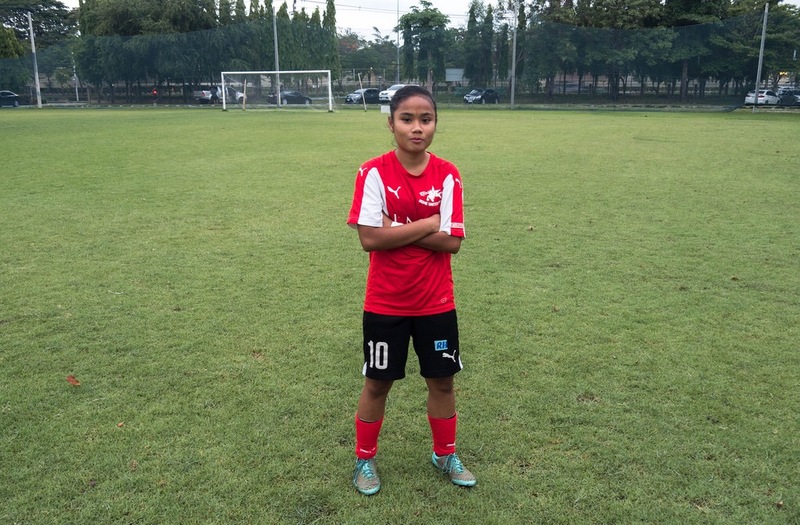 Having shown tremendous resilience in her career to date, you will not put it past Maisarah to make waves in Singapore Women’s football in the near future.